Technology is changing everything around us, from the way we access things online, to the way we manage money, all the way to sports and stadiums, even. 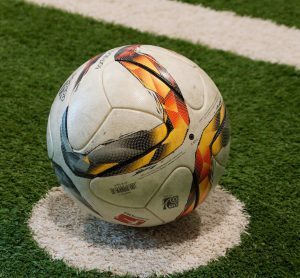 With the rise of technology, the stability and widespread usage of quite a few gadgets, even sports like soccer, which are usually bound in tradition, are changing. 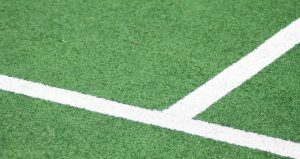 Soccer as a sport was reluctant to accept some of the new technologies in the beginning, as other sports like tennis have, yet that is also changing, most notably at the 2018 World Cup. 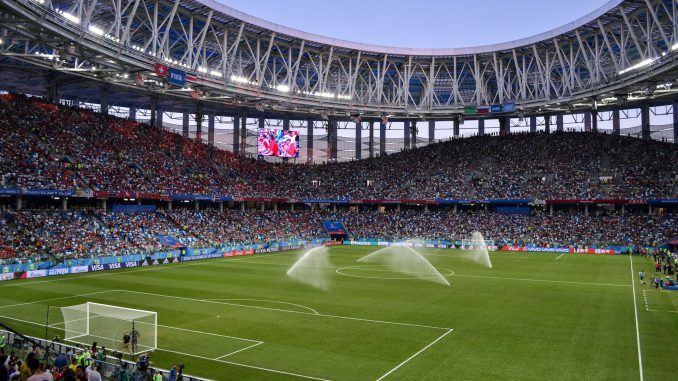 Here is how technology is used to improve soccer stadiums. Whether someone scored a goal or not was usually not an issue in soccer, as the net would shake in either glorious triumph for one team or shameful defeat for another. But, things are not so cut and dry, especially if the ball just barely passes the line. Assistant referees were usually blamed for that. Television replays would also get the wrong angle or just show a something which appeared to be correct. The GoalRef system has been used to determine whether a goal was scored or not. The goal posts would be filled with magnetic coils, as well as the ball itself. An instant transmission would be sent to the referee as soon as the ball passed the line. Another system oftentimes used, at least in the Premier League is the Hawkeye system, developed by the eponymous company from the UK. The system uses high-speed cameras to track the ball and determine precisely whether it passed the goal line. The signal is transferred to the central referee in real-time. Hawkeye has been present in professional tennis and cricket for a while already. The video assistant referee system or VAR, shortly, was first used in the 2018 World Cup. the video assistant referee has the job of reviewing videos from strategically placed cameras to question certain calls like goals, penalties, red cards and mistaken identities related to cards. These issues can be observed by the assistant referee and relayed to the central referee in case a mistake occurs. This has been proven to work and to help share the responsibility and avoid crucial mistakes. Foam has been used since the 2014 World Cup prominently to help solve those frequent mistakes during free kicks where people would move much closer to the ball than allowed. 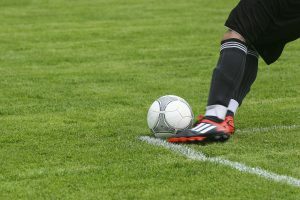 The referee would spray the foam on the field to indicate the minimum distances between the ball and the players, as well as the place where the ball should be. The can contains butane and water, in a ratio of 20% to 80% and the butane expands once the pressure changes, to leave drops of foam on the ground. The foam later turns into water and leaves no other residue materials. As the video broadcasting got better, so did the cameras, naturally. Soccer stadiums are filled with high-quality and high-speed cameras, not only to provide us with a better viewing experience but also to provide the referees with a better image of what transpired, so that they could make better calls. Stadiums now have many cameras which cover all the necessary angles and viewing soccer has never been better, except maybe for potential virtual reality broadcasting, which is yet to become mainstream. These are just some ways in which technology changes soccer stadiums.